It is interesting to look back at copy from Dublin City Council’s Planning Department regarding application no. 3910/00 from St. Paul’s College in 2001, to erect a fence and flood lights on their playing fields in the park. Having had such serious concerns about a fence in 2001, the City Council are now willing to consider the total loss of this land to building. “Serious concern is expressed about the visual impact of the proposed 2.4m high palisade boundary fencing on existing hedgerow, trees and brick walls around the perimeter of the site and the visual impact of the proposed development on the character of St. Anne’s Park, which is a designated Conservation Area within the Dublin City Development Plan 1999. The applicant is requested to submit amended plans and proposals for boundary treatment which will not detract from the visual amenity of the Park and which incorporates all existing hedgerow, trees and walling with a commitment that these are to be retained”. Here is a reminder of the story so far and why we remain opposed to the loss of this land to building. 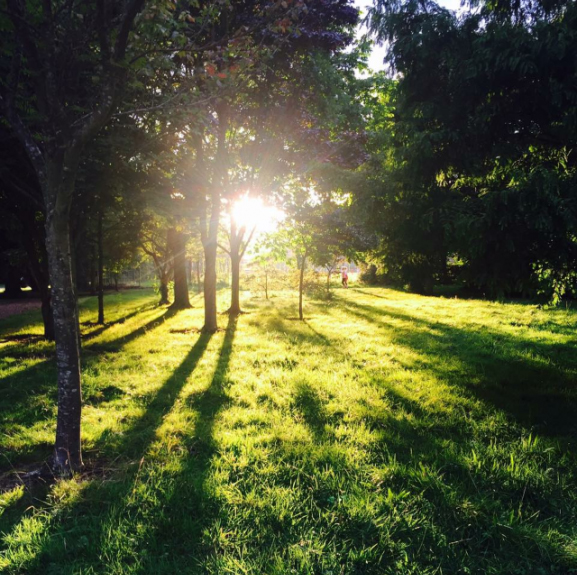 I Love St. Anne’s is a community group, established in opposition to the proposed residential development on playing fields to the rear of St. Paul’s college in Raheny. These 15 acres run for 1/2km into the heart of St. Anne’s, separated from the park by a fence. The land was part of the original estate acquired from the Guinness family by Dublin City Council in the 1930’s. In the early ’60’s the Council entered into a land swap arrangement with the Vincentian Father’s of the newly established St. Paul’s college whereby the Council got land to the front of St. Paul’s to allow for the extension of Vernon Avenue towards the Howth Road and the Vincentians got 15 acres of parkland to use as playing fields for their new school. The land remained in use as playing fields and open to the park until 2001 when the Vincentian Fathers applied for and were granted permission to erect a fence around it. At that time, Dublin City Council Planning Dept. stated that they had ‘serious concerns’ about the visual impact of this fence on the park, running as it does down the historic Main Avenue, and lined by the famous Holm Oaks of St. Anne’s. Although the application for the fence cited insurance reasons, with hindsight it is possible that this was the first step in a long term plan to acquire residential zoning on the land. In 2013, following an expensive legal dispute with another religious institution, Dublin City Council were forced to rezone the St. Paul’s lands (and many other such religious lands in Dublin) to Z15. The purpose of this zoning is ‘to protect and provide for institutional and community uses’ . Residential development is not listed under ‘permissible uses’ on Z15 lands but it is mentioned later as ‘open for consideration’. This ‘open for consideration’ clause is now being used to attempt to gain planning permission for a residential development inside the St. Anne’s demesne. ‘I Love St. Anne’s’ will oppose any residential development of any kind on this land. We believe this land is unique on the north side of Dublin. Unlike other institutional lands, it sits squarely inside a designated conservation area. Any building here will have a catastrophic impact on the park, its plants, trees and abundant wildlife – the long term, knock on impacts of which are currently unknown. For the public who love this park, any building on this land will change the nature of St. Anne’s irrevocably. We believe any future plans for this land must be viewed in the context of the whole park – erecting a fence around it does not remove it from St. Anne’s, as our aerial photo shows.